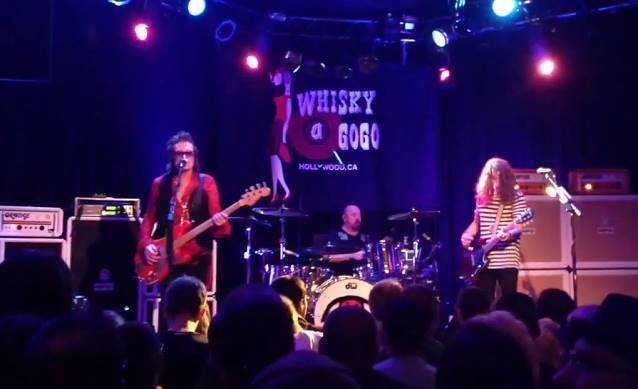 CALIFORNIA BREED, the new band built around the foundation of legendary vocalist-bassist Glenn Hughes, drummer extraordinaire Jason Bonham and 23-year-old newcomer guitarist-singer-songwriter Andrew Watt, made its live debut last night (Wednesday, May 28), at Whisky A Go Go in West Hollywood, California. Fan-filmed video footage of the performance can be seen below. The self-titled debut album from CALIFORNIA BREED sold around 4,000 copies in the United States in its first week of release to land at position No. 78 on The Billboard 200 chart.